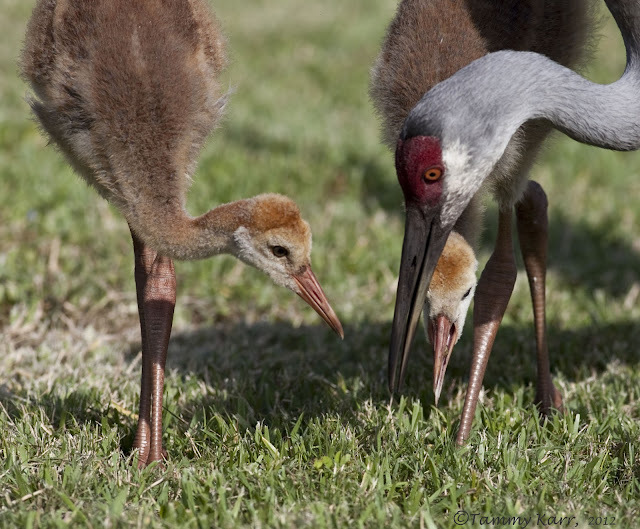 I came across a family of 4 Sandhill Cranes this past week and enjoyed watching them work together as they foraged for bugs, mainly grubs, just off a popular shopping mart. Sandhill Cranes chicks initially feed by pecking the food from their parents bill. They soon learn how to feed on their own. Their parents, however, continue to assist with feeding and protecting them for nearly a year. The adult Cranes were foraging deep in the ground as the chicks watched intently for their share of the grubs. This guy got a little worn out from all the hard work! That's one cute little colt. Awesome series! 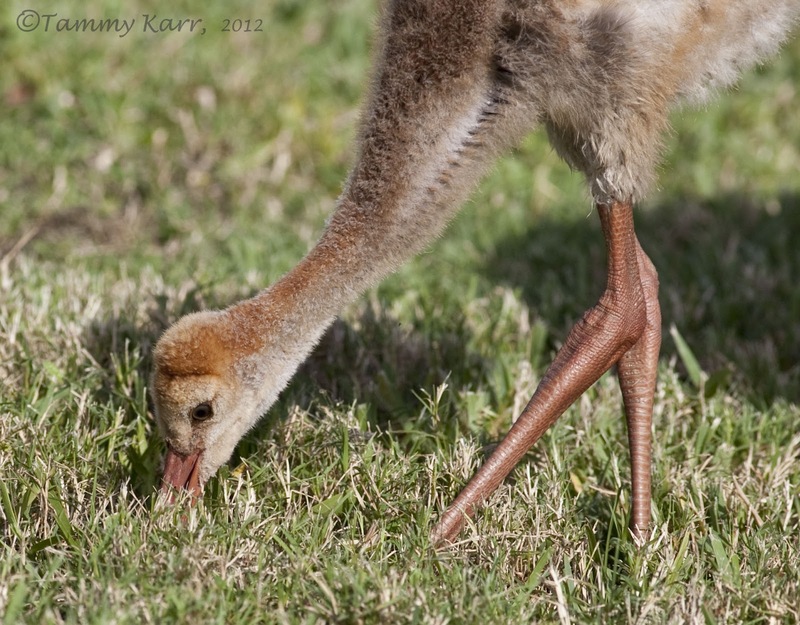 Wonderful images Tammy, Sandhills are such great subjects, especially when they have colts! Lovely shots. 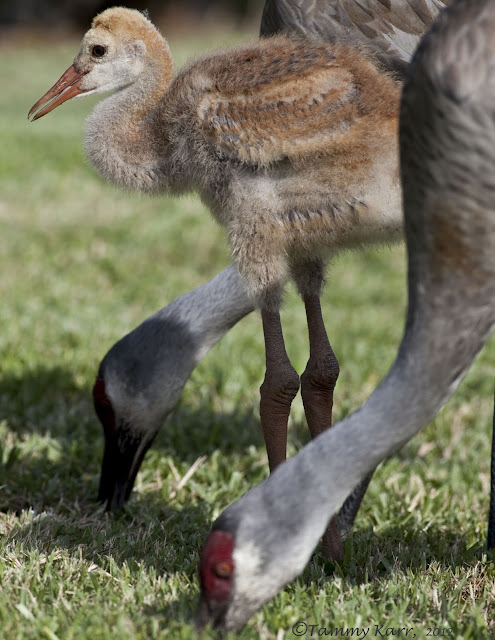 It looks like you must have been wearing a Sandhill costume to get this close! what a treat! 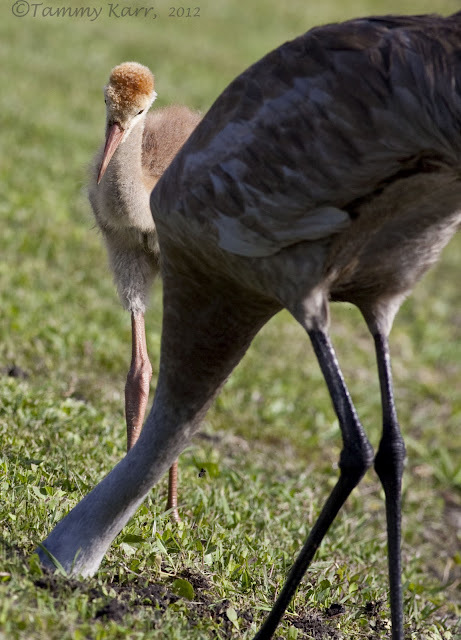 I would love to see a baby sandhill! you are so lucky! Wow! 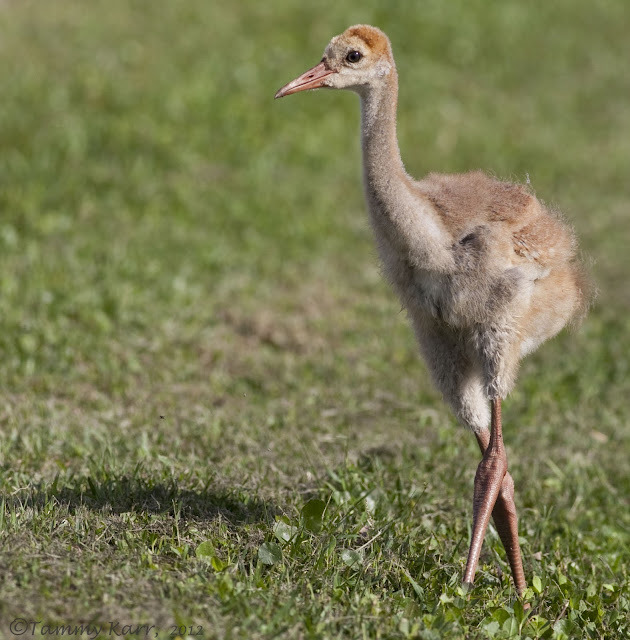 Fabulous looks at those precious Sandhill babies! We've seen some, but not that closely. I love their orange fuzziness. Great pics! 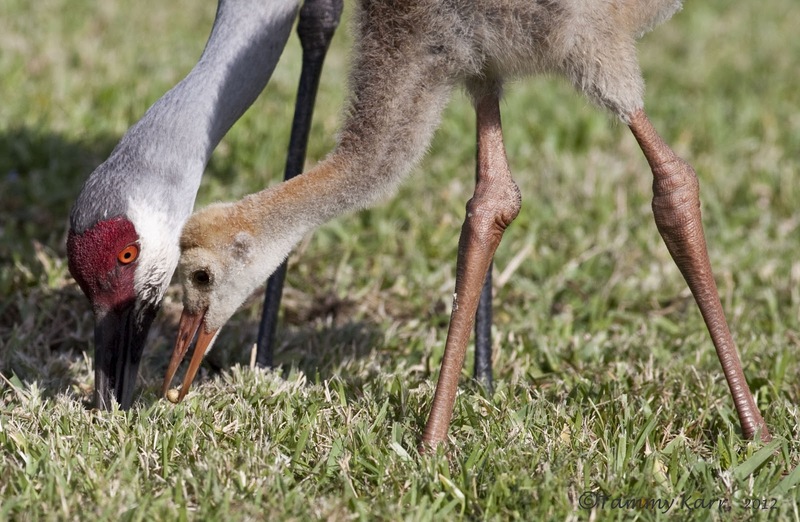 The baby Crane is wonderful, and how it's won to dig for worms. que maravilla de imagenes. felicidades Tammy. saludos desde Extremadura. 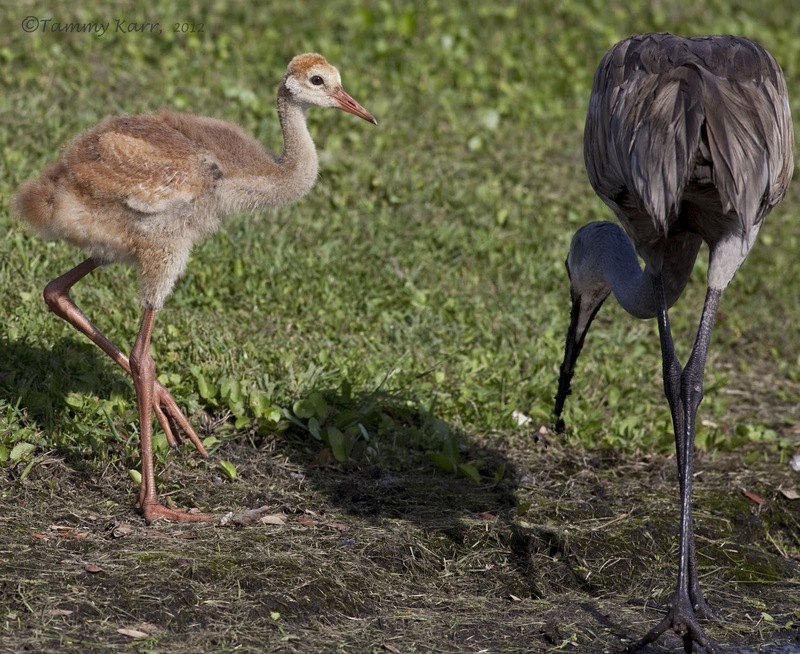 Beautiful pictures of these Crane birds....so cute the little one. these are gorgeous! LOVE the tender interaction you captured between parent and chick. 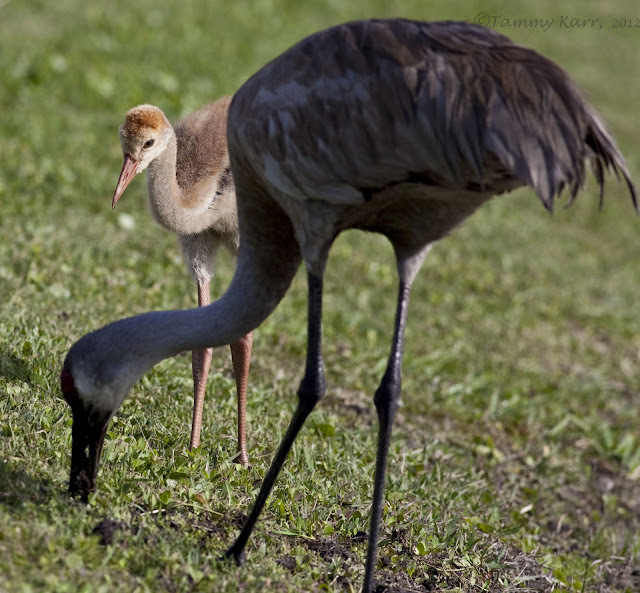 Oh wow, how awesome to see the young cranes! Super photos- so glad you shared them! Gawsh darn, but you are one good photographer! Awww, sweet inquisitive little ones :) I love the way that one is watching Mom. These are awesome, Tammy! I've never seen better crane photos! Excellent photography! Lovely photos of the stunning chicks. How cute the mother and the little apprentice! I especially like the 2nd picture with the shadow of the mother, and those where the chick is studying what she does! Que picos y patas más largos tienen, buenos disparos. Lovely series of natural behaviour Tammy. Oh my goodness, Tammy, this series is outstanding! 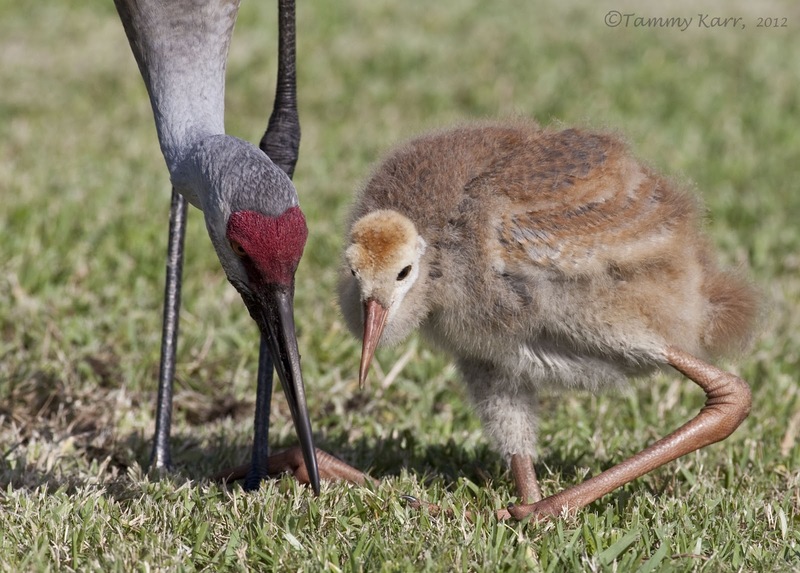 You captured the tender moments between chick and parent so beautifully! Fantastic behavior shots. 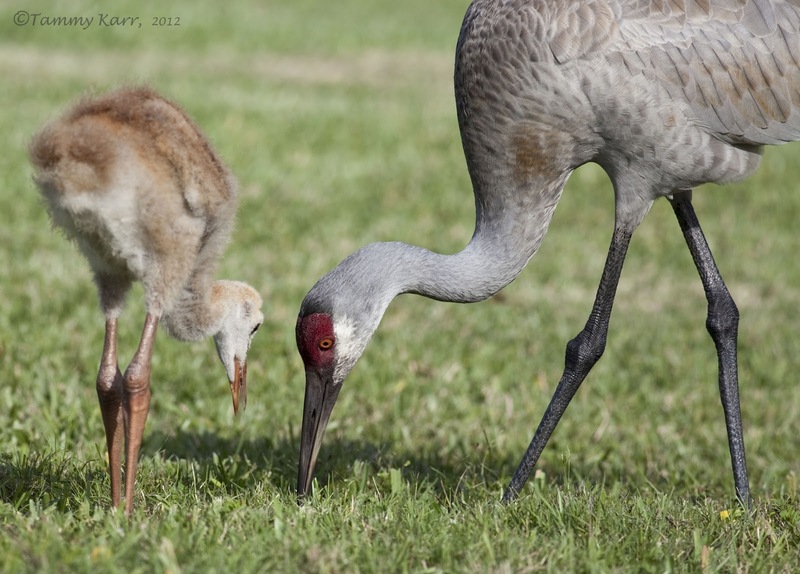 I have never seen such young Sandhill Cranes before ... absolutely precious! I can't wait to show my husband this wonderful post.